It is almost common now to traverse the world in a car or a motorbike. Many have even taken to travelling on foot, exploring the length and breadth of whole continents. 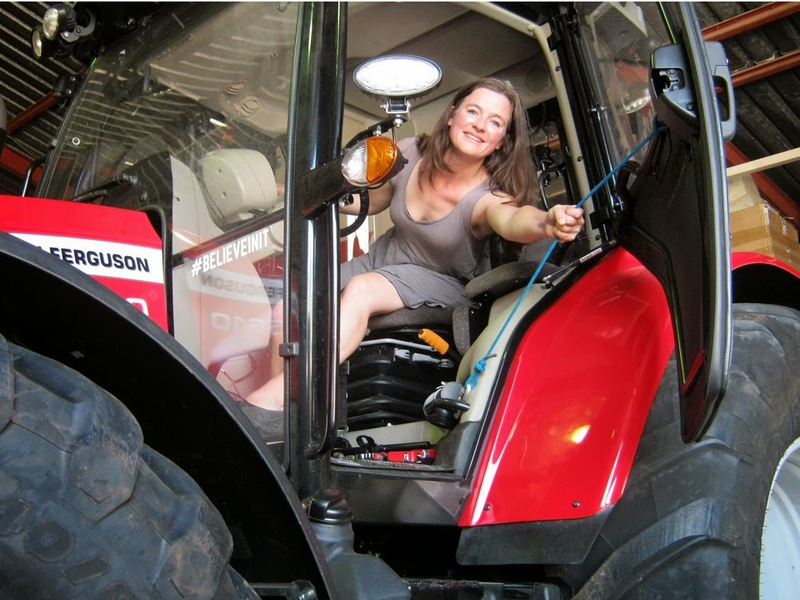 Recently, I came across a solo female traveller who took on a road trip on a rather unusual vehicle: a tractor. 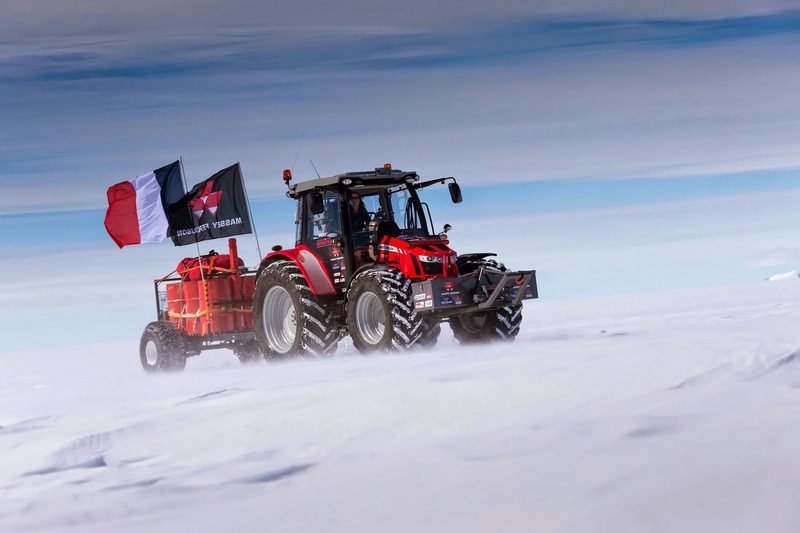 Manon Ossevoort aka ‘tractor girl’ set out on an expedition to the North Pole. Following in the footsteps of legendary explorer Sir Edmund Hillary—who travelled to the South Pole on a tractor in 1958—she even named her tractor Antarctica 2. Ossevoort’s journey originally began in 2005 when she travelled from her hometown in Holland to Cape Town and then missed the boat that was due to take her to Antarctica for the final leg due to delays. For the next four years, she stayed home and recorded her experiences in a book and worked as a motivational speaker. But she never gave up on her dream to conquer of Antartica on a tractor. So with the help of sponsors like Massey-Ferguson, she got back on a tractor and spent 16 days across 1,500 miles of frozen land masses. A former theatre actress, Ossevoort has a 10-month-old baby who stayed home with her partner as her mother went on to complete her unfulfilled dream. It is truly commendable to see women on the forefront of travel; taking on journeys that are inspiring women all over the world. This only goes to reiterate the fact that you can do anything you set your mind to. If you dream it, it IS possible. If you know of any inspiring travel stories, please share them below. One of the freelance assignments I worked on recently had a very interesting topic: Dark Tourism. This term describes visits to disaster zones like Ground Zero in New York or destinations associated with gruesome murders or hardship such as as the Auschwitz concentration camp in Poland or prisons such as Alcatraz. I compiled five such destinations in Europe; from Dracula’s spooky castle to Cork City’s gloomy prison. If you know of any, please add to the list in the 'comments' box. If horror movies give you goosebumps, then the ghastly real-life stories of Edinburgh’s violent past will surely terrify. Touring the city’s ghoulish past includes tales of witch burnings, grave robbing, body snatching and a host of unexplained murders. 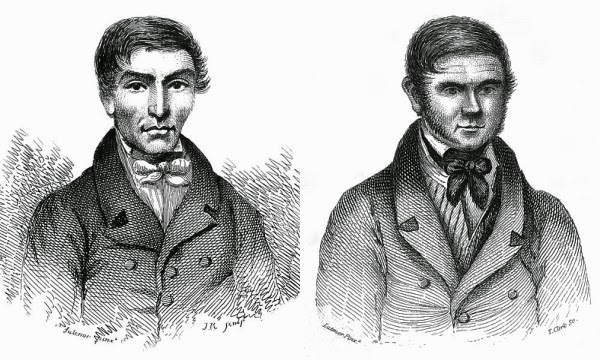 Discover legends of public executions in Edinburgh’s Grassmarket, flesh-eating fairies at Carlton Hill (said to be home to a fairy portal), the famous story of Burke and Hare (childhood friends turned murderers), stories of cannibals and vampires that include Sawney Bean on whom the film The Hills Have Eyes is based, and the true story of Allan Menzies, who murdered his best friend and drank his blood because he wanted to become a vampire—an incident that shockingly occurred in 2002. 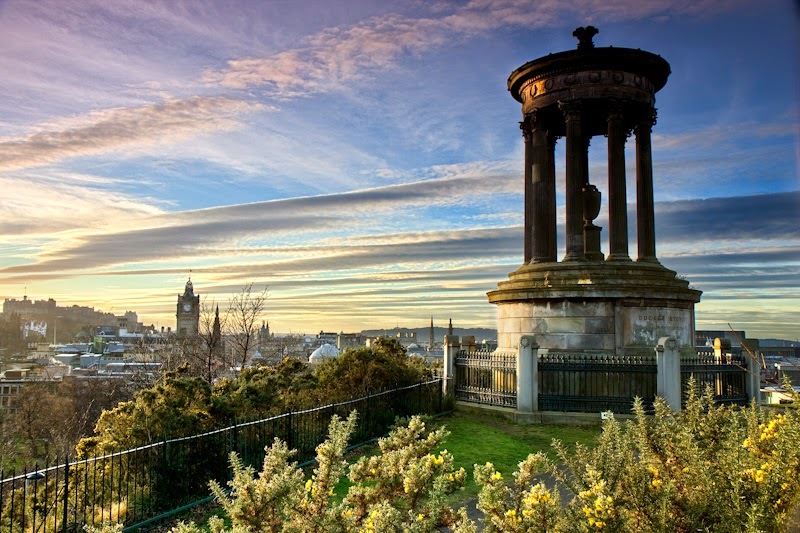 Tour options: You can book walking tours through Sandeman’s New Europe tours (the Dark Side Tour of Edinburgh’s Murderers and Monsters) or Viator (Edinburgh Ghost Tour by Vintage Bus). 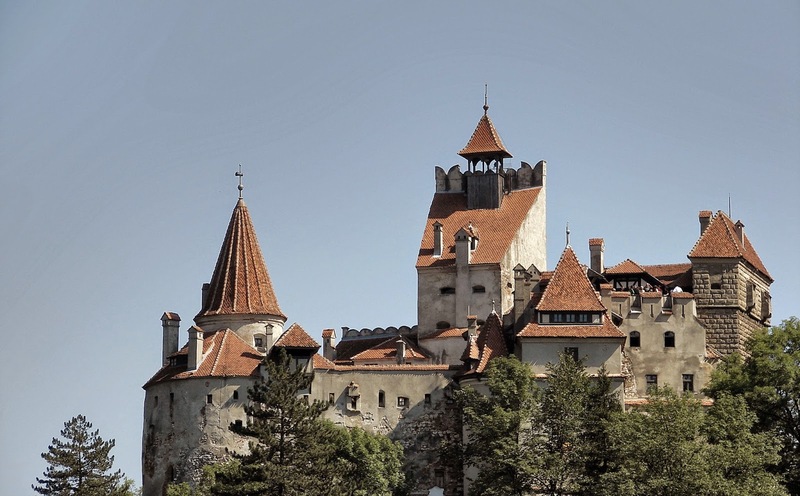 A tour of Transylvania, home to Bram Stoker’s Dracula, unveils an intriguing history about the Lord of the Undead and his real-life inspiration, Prince Vlad III, the Impaler. From Snagov Monastery, where Vlad’s remains are allegedly buried, to the ruins of the Poenari Fortress, said to be the authentic castle Dracula lived in, you can relive the vampire’s bloody history. You can also participate in the Ritual Killing of the Living Dead, a ceremony performed by priests in a bid to set free the soul of the dead. Using elements like candles, incense, garlic, holy water and basil, the body is laid to rest in a coffin and a wooden stick is put through the heart of the deceased. Tour options: Both Transylvania Live and Adventure Transylvania offer six to seven day itineraries that allow you to explore other parts of Romania as well. Cost: A seven-day trip will be approximately Rs 77,000. Get ready to be a social media sensation because this is the only place that will let you say, “I’ve been to jail and it was awesome”. The Cork City Gaol is a well-preserved Irish prison built in the 1820s, and later transformed into a museum and heritage centre. A tour of this prison, that houses life-like wax figures of guards and prisoners, gives you a glimpse of what life in the prison was like back in the 1800s and early 1900s. You can witness how the prisoners lived, their dark confinement rooms, the punishments they were subjected to and more. 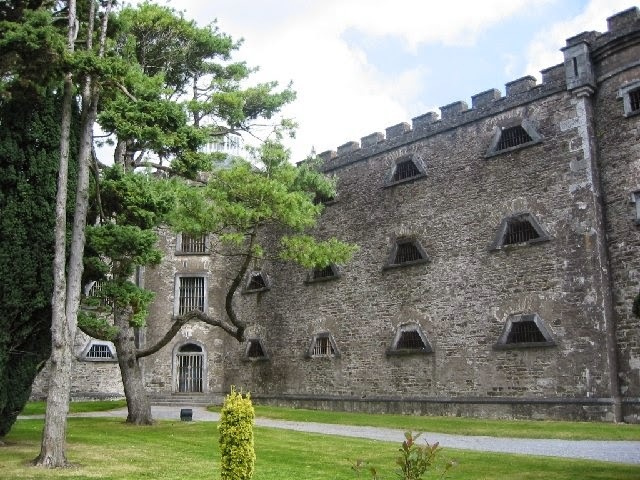 Tour options: A variety of tours are available at the Cork City Gaol Heritage Centre. You can opt for audio tours, night tours or self-guided tours. On your next trip to Paris, switch off from the city of lights and unearth the dark secrets buried deep beneath the surface. Start with Musée des Égouts de Paris, an underground museum revealing the history of its sewage system dating back to the year 1370. Walking through the rather spacious tunnels expect to see giant iron balls used to flush out the sewers, and exhibits explaining the development of Paris’ waste water–disposal system. This is a great spot for fans of Victor Hugo’s Les Misérables as it reflects upon protagonist Jean Valjean adventures in the Parisian sewers. It’s going to be damp and muddy down there, so be sure to leave your good shoes behind. Just 20 metres below street level, the underground tunnels and limestone quarries were used to house more than just sewage. They were also used to store the remains of more than six million Parisians between 1785 and 1860. 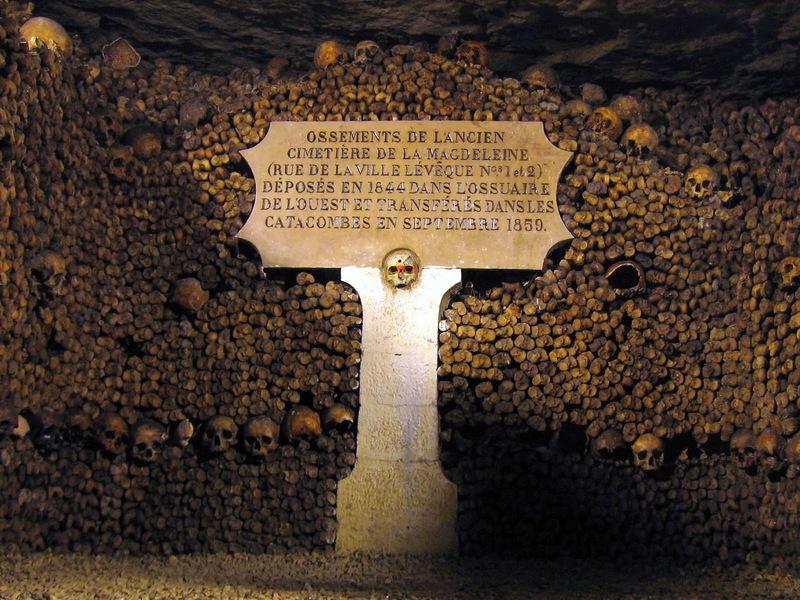 Back then, when the cemeteries couldn’t contain the increasing number of dead bodies, disused quarries were used as a depositary of bones that later became known as the catacombs or Les Catacombes de Paris. A walk through this 180-mile maze of tunnels is truly bone chilling. Endless walls of stacked-up bones, dimly lit passageways and leaking low ceilings create macabre visuals about how the bones came to find a home here. 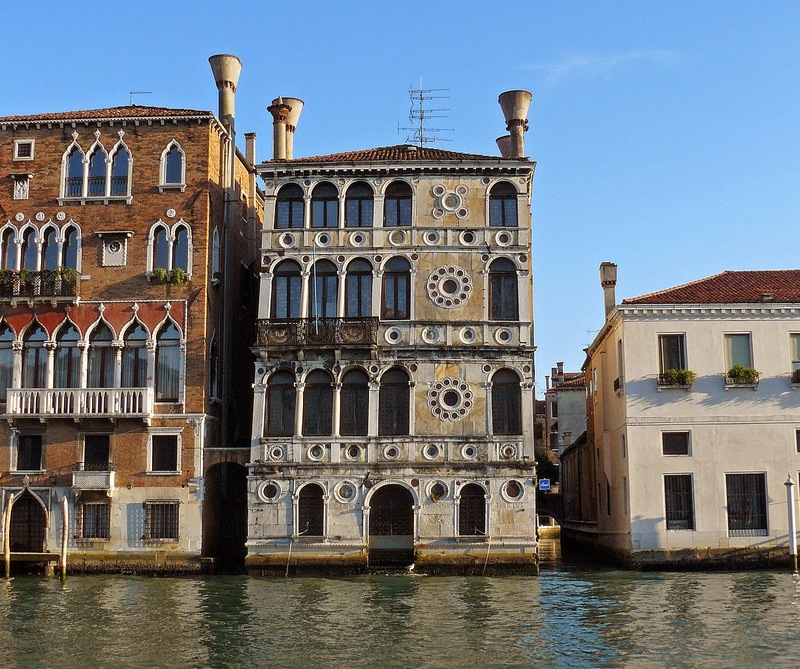 Venice for long has been associated with serene canals and musical gondola rides. But a tour of its dark side will uncover mysterious murders and ghastly ghosts. Walking along a winding route through Venice’s labyrinth of alleyways and canals you can explore haunted houses, dark alleys, secret courtyards and ancient cemeteries hidden beneath the streets. Most of the tours begin at Rialto Bridge built in 1591. Legend has it that the bridge kept collapsing, so the builder made a deal with Satan who agreed to stop the bridge from crumbling if he could have the first soul to cross it. Even though the builder tried to outwit Satan, he eventually lost his wife and child. Another intriguing story lies at Cà Dario, locally referred to as ‘The House of No Return’. It is believed that its owners either die or their lives are ruined in some way. It all started back in the 15th century when the daughter of its first owner, Giovanni Dario, committed suicide in the house after her husband went bankrupt and their son was killed in a fight. Numerous suicides followed after, while the few survivors either went bankrupt or fled the place. Also on the tour are Calle dei Assassini (alley of the assassins), La Fenice Opera House and the fires that attempted to destroy it, and St Mark’s Square where public executions took place. Visited any dark tourism sites? Add to the list by sharing them below.